AFM Conferences provide attendees with knowledge and insights from industry thought leaders, decision makers and experts. Leading Producer/Financiers share their companies’ strategies in the era of platforms, subscriptions, and evolving consumer options. Distributors from all corners of the world reveal how the marketplace is evolving, from consumer preferences and behavior to shifting windows and new platforms. Volunteers selected in advance will pitch to our expert panel. They will give unvarnished feedback on each pitch – explaining what worked, what didn’t – and why. Through decentralized transactions and transparency, Blockchain can attract stakeholders, reduce production costs and empower producers. Blockchain promises a frictionless ecosystem with immediate cash-flow from transactions, direct access to global audiences, transparent royalty payments and reduced piracy risk. Six presentations will cover the breadth of Blockchain’s potential to transform independent film production and distribution. Our panel of experts will be presented with five film packages – each with partial or limited funding. They will explore and disclose how each film could be fully financed. Five case studies; five solutions. Pre-Selling to territorial Buyers is key to financing most independent films. What are they looking for? Which genres and talent? How do you set a budget that will reflect the marketplace? Discover which projects are most likely to sell globally before they are made. Attaching talent to your screenplay doesn’t guarantee that you will get your film financed but it can certainly increase your chances. Producers and casting directors reveal what it takes to attract talent and get them attached before the financing is in place. To reach the global audience, an independent producer’s best ally is their international Sales Agent. Our panel of experts will discuss how to find and work with the right Sales Agent. VOD is now the largest source of revenue for many films. Are we heading towards a future where all films will be available worldwide and where every film will be discoverable by its audience? Producers, distributors and platforms will disclose who is making money, how they are doing it, and what the future holds – separating fact from fiction. Learn how to shape your screenplay into a compelling narrative that will resonate with studios, investors and a global audience. Make the reader love you on the first page! Learn writing techniques that help your script hit the ground running. Through examples from your favorite scripts, we take a hard look at word choice, scene direction, dialogue approach, and the nuances of the page. The greatest challenge facing all screenwriters, whether novice or professional, is the process of transforming a premise into a compelling, sustainable story. This workshop focuses solely on the art of the story, with an emphasis on such fundamentals as character development, super-objective, rising conflict, scene work, and three-act structure. Participants learn how to spot critical mistakes often made in the initial development of a screenplay’s narrative. The final goal of the workshop is a greater understanding of what makes a story work and a series of tools that participants can immediately apply to their current screenplay. Creating an engaging cinematic narrative can be deceptively difficult, and story structure is often one of the most challenging, yet critical, things for any screenwriter to master. There are no “formulas,” but there are time-tested principles which can help guide you and enable you to craft your story into its most satisfying form. Diane will cover the tools and elements essential to grounding your story in a solid screenplay structure utilizing film clips from commercially and critically successful films. No matter what genre you’re working in, getting your reader to empathize with and root for your story’s protagonist is one of the most important goals – if not THE most important goal – for a screenwriter to achieve. Using film clips, screenplay pages, and brief exercises, this workshop explores how to create powerful, memorable characters, and the most effective techniques for bringing them to life on the page. 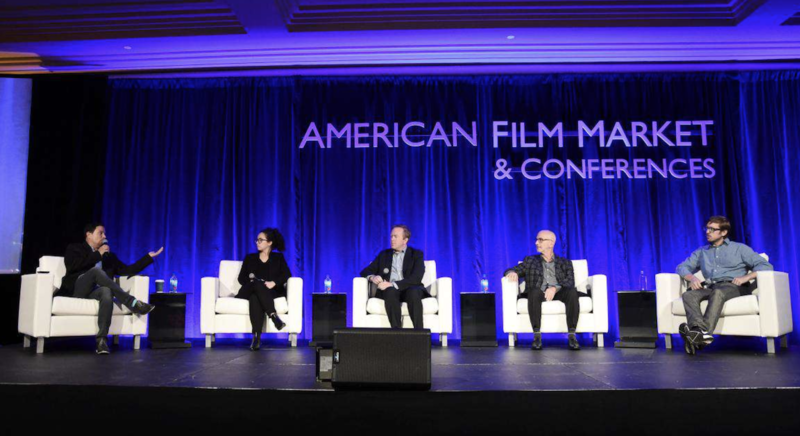 AFM Roundtables are open-ended discussions that explore specialized topics and timely issues in an intimate setting. Films based on intellectual property (IP) are considered less risky by financiers since an audience has already been established. This makes adapting existing IP a viable route to getting more LGBTQ stories onto the screen. We’ll discuss how to leverage news articles, short stories, biographies, novels, comic books and digital series with queer and trans lead characters, in order to get more LGBTQ feature films into production. Presented in partnership with Outfest. Today’s rapidly evolving marketplace presents new and exciting pathways for films to reach and inspire families and the faithful. We’ll explore who is succeeding, why, and where the industry is heading. International film boards, public broadcasters, government agencies and civic institutions have launched robust initiatives to increase the number of female producers, writers and directors working in film. We’ll explore the mandatory and voluntary programs that are driving change in storytelling and employment opportunity for women in front of and behind the camera. The discussion will also include best practices and procedures that you can implement now to ensure that your productions are tuned into these new marketplace demands. Presented in partnership with ReFrame. Audiences are seeking out more documentaries than ever before. What elements will help a doc stand out? Producers and distributors will discuss producing for success in the documentary marketplace. The Documentary marketplace is quickly transforming. New platforms and alliances are providing opportunities for stories that can support a long-form treatment. Producers and distributors will examine the diverse sources of revenue and discuss which co-production models can achieve success. High quality micro-budget films are no longer a novelty, making it essential for producers to follow the key principles of producing for the marketplace. Learn from experts how to maximize every dollar and how to create a small film that will be destined for big success. Presented in partnership with Slamdance. Respecting The Genre: Why Do Some Horror Films Work While Others Don’t? Hundreds of horror films are made every year but only a few really stand out. Why is that? What makes the successful films resonate? Producers, distributors and influencers will explore what makes the genre work for global audiences at every level, from marketing to release to longevity in the horror community. Presented in partnership with Dread Central. AFM Spotlight Events are unique opportunities to connect and learn. Hong Kong films have been well recognized in the international film industry over the years, and it is even more exciting to see more and more young talents on the rise. 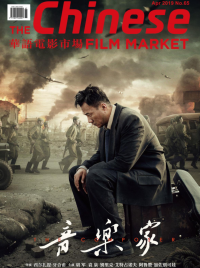 They are regarded as a fresh “Hong Kong New Wave Cinema”, who produce movies of a wide range of themes and are supported by pitching schemes such as HAF (Hong Kong – Asia Film Financing Forum) and WIP (Work-in-Progress). Director from the generation will show you what is new in the market, while the pitching scheme organiser will let you know how and why they were funded and recognised in the fierce competition in the international market. Presented by the Hong Kong Trade Development Council. Meet with the leading CG/VFX companies in Korea. CG/VFX accounts for a significant part in K-wave, just like K-POP, K-Drama, K-Movie. Don’t miss your chance to experience the latest technology of K-CG/VFX. Buyer Business Meetings will take place in Escondido on the 8th floor after the session. With the Chinese box office set to take over the U.S. box office soon, producers are challenged to create content that appeals to an ever-increasing international box office. Many producers are entering into co-productions to help break into foreign markets. Hear how experts navigate the production process across borders to create box office victories. Presented by the US China Film & TV Industry Expo. Engage is Pepperdine’s Institute for Entertainment, Media, and Culture (IEMC) signature diversity and inclusion event where creative entrepreneurs will have the opportunity to learn from high profile industry professionals. This half-day symposium features provocative panel discussions and invaluable insider information about the film, television, and new media landscape from a diverse group of notable creatives, producers, and executives in the entertainment industry. This year’s symposium theme, “21st Century Creatives and Storytelling,” will focus on the burgeoning trends in the industry for creatives and business entrepreneurs. With the influx of new streaming platforms, and the continued increase in the number of theaters in China, experts give insights on the distribution options in the Chinese market. Presented by the US China Film & TV Industry Expo. Home Entertainment revenue hit $47.8 Billion in 2017, with digital spending up 41% from the year before. This presents an opportunity for film, television and media brands to launch and manage their own video on demand operation. This discussion will explore how you can grow new audiences and generate more revenue with your own video on demand business. Presented by the online video experts at SHIFT72. Since 2002, only Louisiana has set the global standard for motion picture production incentives. With a competitive film production incentive; tax credits for full time, permanent jobs; and funds for investment in education and workforce development – the Louisiana Advantage is clear. The year-old enhancements to the Louisiana Entertainment Incentives have already set the bar even higher. Join officials from the state of Louisiana as they provide insight into the Louisiana Advantage. Overview the latest technology from Korean CG/VFX which is growing sharply and rapidly. Also check out the current works of leading Korean CG/VFX companies and explore the secrets of rapid success through a Q&A session. George Lucas was right when he said “The sound and music are 50% of the entertainment in a movie.” Hire a composer or use licensed music? What clearances and sets of rights do I need, and for how long and how much will they cost? Should I get Festival rights? What makes a film’s soundtrack commercially successful? How do I find a Composer and or a Music Supervisor? These questions and all of yours will be answered. Presented by the Film Musicians Secondary Markets Fund. DGA, SAGindie and WGAW representatives explain how to secure talent agreements for directors, actors and writers and make your project signatory to the guilds’ agreements. AFM hosts the world’s producers and decision makers to four networking receptions at the historic Merry-Go-Round on the Santa Monica Pier. The AFM’s Carousel Cocktails provide a unique and memorable experience as participants connect and relax at the beach. Carousel Cocktails will take place Friday – Monday, November 2, 3, 4 & 5, from 5:30pm to 8:00pm. Qualified Attendee badge holders are invited to one reception. The choice of evening is selected when each badge is purchased.